Free Shipping Included! Save 1% on the Neewer 32x32 inch/80x80 cm Photo Studio Shooting Tent Light Cube Diffusion Soft Box Kit with 4 Colors Backdrops (Red Dark Blue Black White) for Photography by Neewer at Kmpacting Studio. MPN: 10071239. Hurry! Limited time offer. Offer valid only while supplies last. 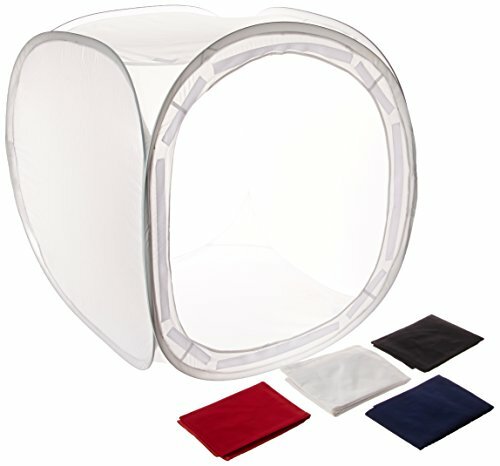 Description: If you are seriously considering purchasing a photo tent, this includes all the backdrops you will need to make your photos stand out. Item Size (CUBE, cm/inch): 8 / 32"